Montreal will host in May 2012 a major international gathering for business leaders interested in insights into how creativity can drive strategic development. With access to high-profile speakers, C2-MTL provides a superb opportunity for participants to stimulate business creativity skills and develop the innovation capacity of their organization. A Timely Conference focused on Business + Creativity. Faced with a very sluggish global economy and constant competition, it is imperative for companies to demonstrate a high level of creativity. As Jean-François Bouchard, President of Sid Lee, explained “creativity is a critical factor for business survival in the age of globalization. 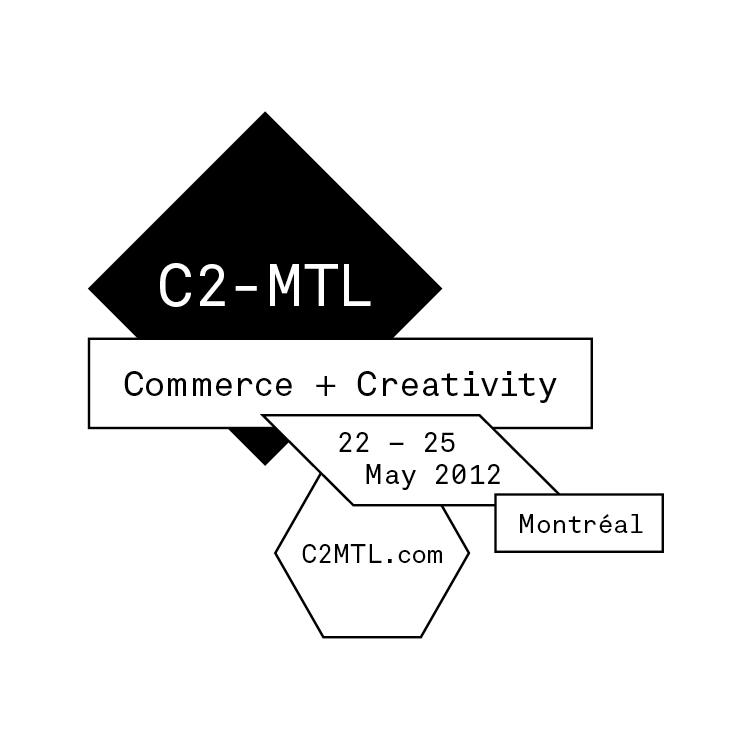 C2-MTL will explore the business/creativity dyad and its potential to reshape the business landscape”. Montreal’s economy has emerged in a relatively good shape from the great recession thanks to several clusters of emerging leaders benefiting from a very strong creativity culture embedded deeply in their corporate DNA. Think Sid Lee, Cirque du Soleil, Ubisoft, etc… It is a good time to raise Montreal’s stature on the world stage by showcasing all the breakthroughs being done here. It will also help to continue to foster a generation of creative organisations. The conference will attract world-renowned innovators. Attendees can expect speakers such as film director Francis Ford Coppola; former Disney CEO Michael Eisner; Robert Safian, Editor of Fast Company; Arianna Huffington, Editor in Chief of AOL Huffington Post Media Group; Robert Wong, Executive Creative Director of Google Creative Lab; Daniel Lamarre, CEO of Cirque du Soleil; and many others. The organizers expect about 1,000 people to attend the conference. A Unique Location to Organize a Conference. C2-MTL will be held in the New City Gas Co. building, an historic complex located in Griffintown. Good news for my former neighbour: the complex will be entirely refurbished and restored. The Conference will Showcase Montreal’s Unbelievable Creativity & Talents. The city’s key players in various industries ranging from media/entertainment, advertising, fashion, healthcare, digital arts to aerospace will partake in the event. This entry was posted in Montreal and tagged C2-MTL, Creativity, Innovation, Montreal. Bookmark the permalink.